To further enhance the capabilities and usability of Microsoft Service Manager, we're excited to highlight the Cireson Analyst Portal Affected User and Advanced Send Email apps that were released earlier this year. Allows an Analyst to send an email to the Affected User or other recipients from the context of an incident in the Service Manager Console. This app facilitates quicker and more efficient communication between Analysts and End Users, leading to more timely Incident Resolution. This app app streamlines customer interactions when creating work items. In a single interface, an Analyst can capture the customer’s information, understand the issue at hand, and then easily determine whether the request is an incident or a service request. With this app, Analysts no longer have to bounce between incidents and service requests while interacting with customers. The power of Microsoft Configuration Manager makes it possible for Administrators to deploy software, protect data, monitor health, and enforce compliance across all devices in an organization. But with great power comes challenges and frustrations for management, maintenance, and delegation. Collaborating with industry leaders and Microsoft MVPs, including Kent Agerlund, Niall Brady, Wally Mead, and Anoop Nair, we compiled some of the top frustrations that SCCM Administrators face on a daily basis. Check them out - how many resonate with you? Gathering information and troubleshooting in the Cireson Portal often involves looking at files in various places, running SQL scripts and sending logs to Support. James Atance, our senior support analyst in EMEA saw the need for a tool to simplify this process and created what we now call the SMP Helper. The tool is available for download, free of charge, from the Cireson uploads tab on the Cireson Community and is a small executable designed to be run from the portal server. Download the tool and learn helpful tips about installation, log management, discovery reporting, and more in our recent blog post. Join Team Cireson at Service and Asset Management events across the globe. See live demos, learn about upcoming products, see live presentations, and meet the infamous IT Monkey! 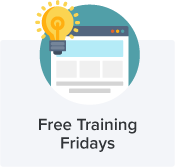 Join our Global Support team on Fridays for free, quick webinars filled with Cireson tips and tricks. View the schedule and register. 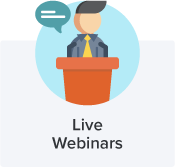 Sign-up for monthly service management, asset management, System Center, and Cireson product webinars. Check out upcoming sessions and register. the Cireson solutions. 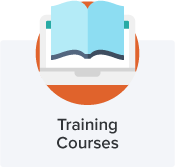 We have training programs to fit your needs, role, timeline, and budget. At Cireson, we strive to not only make IT better, but to do our part in making the world a better place as well. We do this by donating some of our time and profits to social-change organizations so they can amplify their impact. With a passion for primates (IT Monkey), one organization we work with is Wild Futures. They're a UK charity founded upon five decades of experience as a leader in the field of primate welfare and conservation, environmental education, and sustainable practice. They are committed to protecting primates and habitats worldwide. Meet our adopted Black-capped Capuchin Monkey, Banjo. He was born in 2009, loves being in the front row at feeding times, and is best friends with his sister, Roccita.